Are you searching for a destination for your next family holiday? 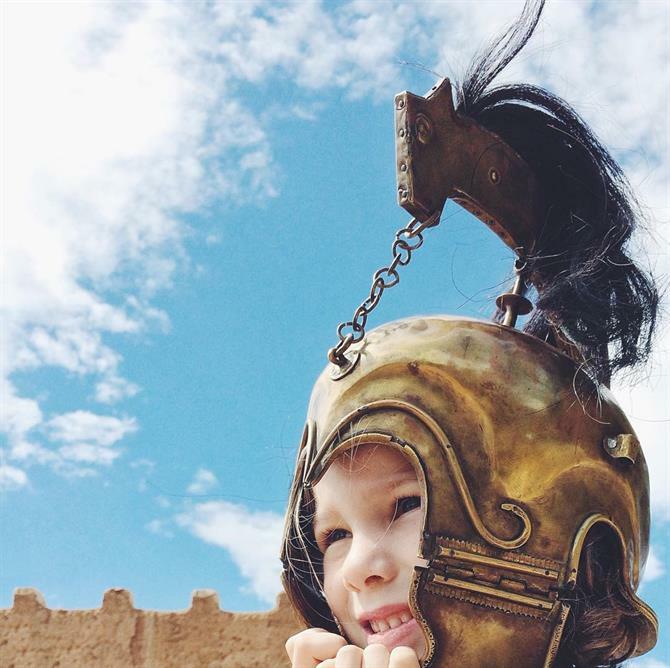 Spain is the perfect place to spend quality time with your kids! Aside from its amazing beaches, sunny weather and great food, the country offers a lot of unique, family-friendly events. There is no better destination to enjoy a holiday with your family than Spain! You cannot think of a more varied offer: parades, medieval days, sporting events, eco-fairs and multicultural festivals... Discover the most entertaining and educational events that you shouldn't miss when you are in Spain this year! 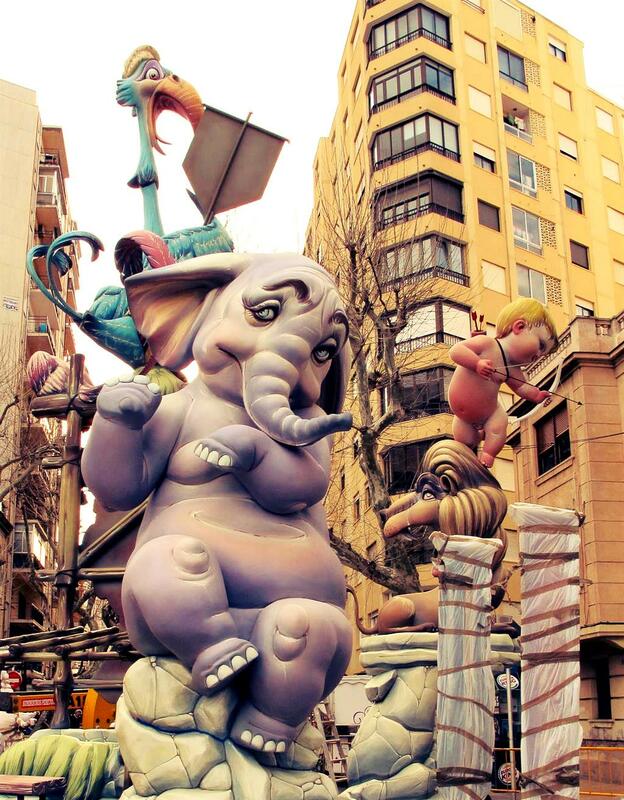 Every 5th of January, the streets of Spain's cities are filled with magic, sweets and fun! The kings Melchior, Balthasar and Gaspar, together with their pages and helpers, greet all the children from their carriages. They will have a busy night visiting every home in the country to give Christmas presents and bring joy. The Three Kings parades are true exciting spectacles. 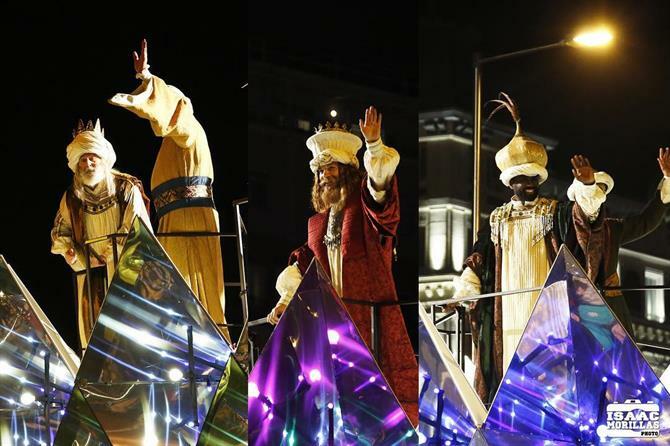 Their pages go first, performing and dancing, and after, the carriages of the kings arrive. The kings throw all sorts of sweets to the kids. If you will be visiting Spain at the start of January, enjoy this typical Spanish event and don't forget to bring a bag to collect all the delicious sweets! When the first month of the new year has passed, it's time to have fun at one of the most colourful festivals of the year: Carnival. It's the perfect moment to have a good time, and at the same time, you can spark the creativity and imagination of your children. If you're in Spain in February, be prepared to celebrate carnival like you never have before! Carnival in Spain is much more than just dressing up. A lot of cities organise parades, games and contests which are truly extravagant. 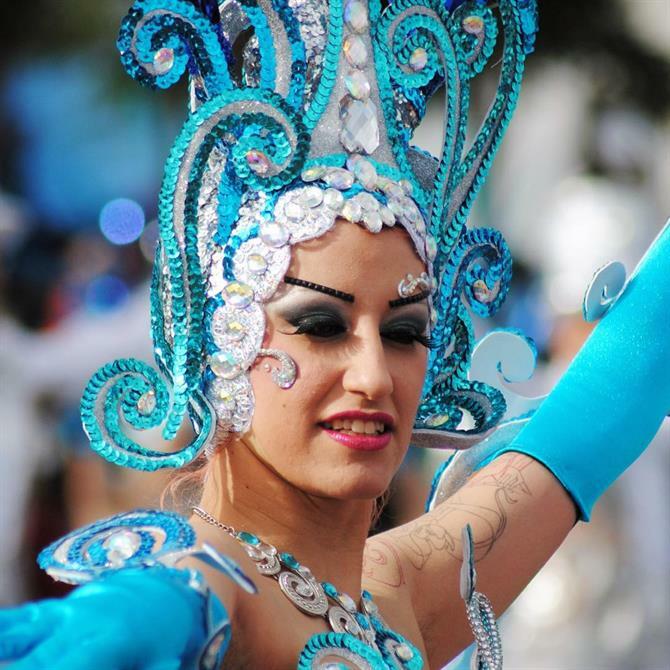 The carnivals of Tenerife, Cadiz and Aguilas (Murcia) have even been declared Fiestas of International Tourist Interest. 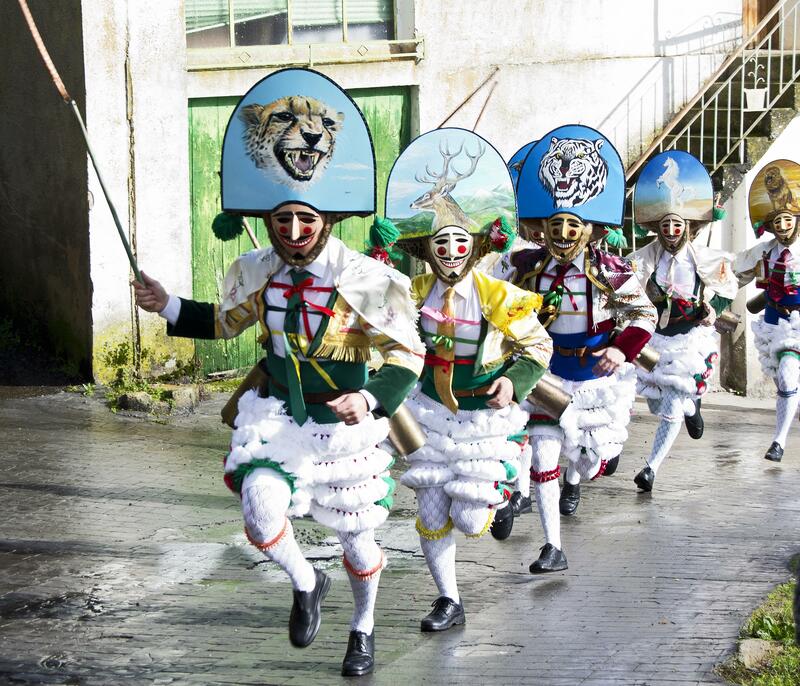 In Ourense (Galicia), the carnival celebrations are very special, unique and different. The Carnival of Santa Cruz de Tenerife is one of the most popular in the world: the celebrations last several weeks, and the entire city is converted into a carnival extravaganza filled with colour, rhythm and fun. But every place in Spain celebrates carnival in their own unique way, so come to Spain and join the fun! If you want to surprise your kids stay in Valencia city centre and attend the Falles (or Fallas). They are a one-of-a-kind festival, with colourful characters, light shows and a lot of fire. The Falles are mainly directed towards families, and there are a lot of children's shows and attractions, like the highest ferris wheel of Europe. Your kids will go crazy with joy! 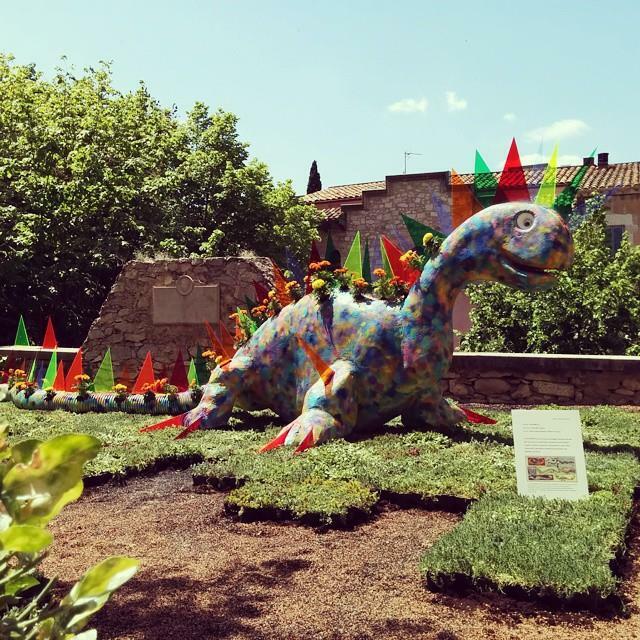 During the day you can discover the city and admire the falles (colourful constructions and characters that have given their name to the festival). Their fun shapes and colours will surely attract the attention of your children. At two in the afternoon, the Mascletà takes place, a coordinated firecracker and fireworks display. At night you can admire the beautifully lit city centre of Valencia. The Falles are closed with a grand fireworks spectacle and an extravagant parade (the Fire Parade). On the final night, the falles are used as bonfires and burnt. In many neighbourhoods, there is a child-friendly bonfire that is lit earlier at night and is not as big as the regular ones. 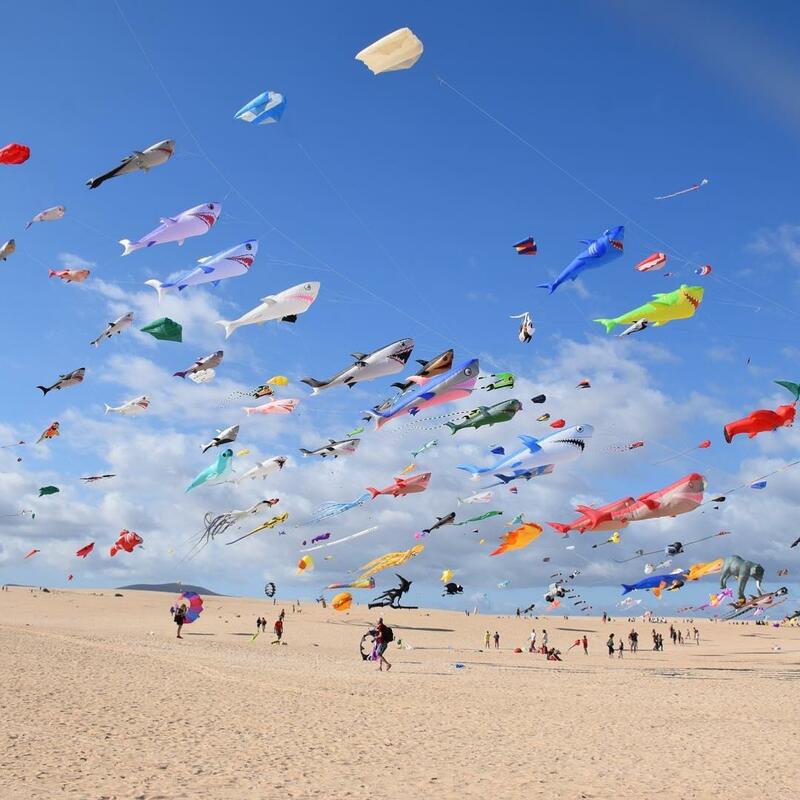 At the start of April, the azure sky of Malvarrosa beach will be coloured by hundreds of kites that fly during the 21st International Festival of the Wind of Valencia. An original and fun event, it will appeal to everyone's inner child with all its beautiful kites soaring through the air. Another, similar festival takes place in the Corralejo Natural Park (Fuerteventura) in the middle of November. The International Kite Festival unites kite lovers from all over the world. Kites are flown in the entire park, and there are even special workshops for kids where they learn to construct their own kites. If your family goes crazy for a good car, the Lloret Formula Weekend is unmissable! This festival is celebrated mid-May in Lloret de Mar (Girona). 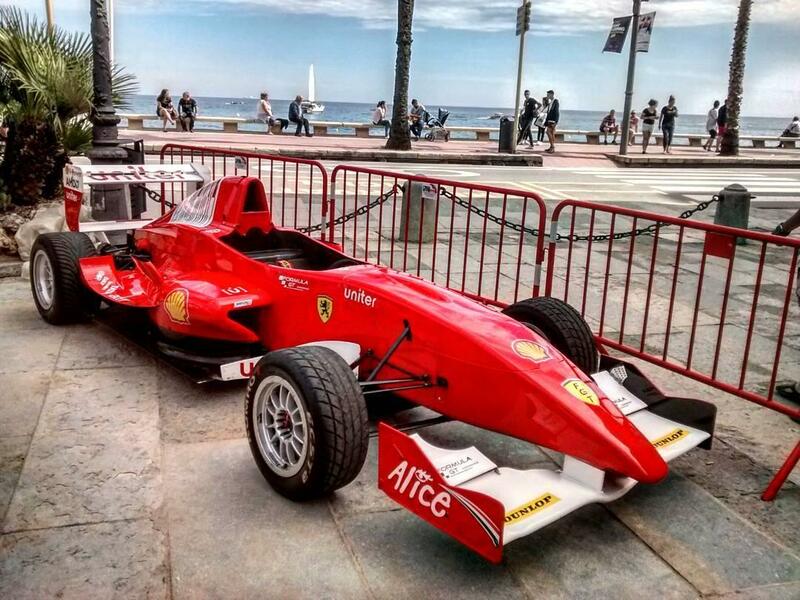 It's the perfect occasion to enjoy the world of Formula 1 racing. You can find kart circuits, slot car competitions, exhibitions and motor shows. Everyone will love this experience, as there are activities for all ages, from fun shows and bouncing castles for the youngest to the opportunity to drive a Ferrari yourself for the parents. And if you can't get enough, you can always visit Ferrari Land in PortAventura, Tarragona. More or less around the same time, the incredible flower festival Temps de Flors takes place in Girona, not far from Lloret de Mar. It's the best time of the year to discover its ancient Jewish quarter, decorated with hundreds of flowers! The Noche de San Juan (Saint John's Eve) is one of the oldest and most magical festivals of Spain. It is celebrated on the night of June 24th throughout the country. To experience this festival, spend your holidays on the Costa del Sol, one of the best locations where the Spanish people welcome the arrival of summer with bonfires on the beach. In a lot of cities, like Barcelona and Valencia, this is combined with a fireworks show. 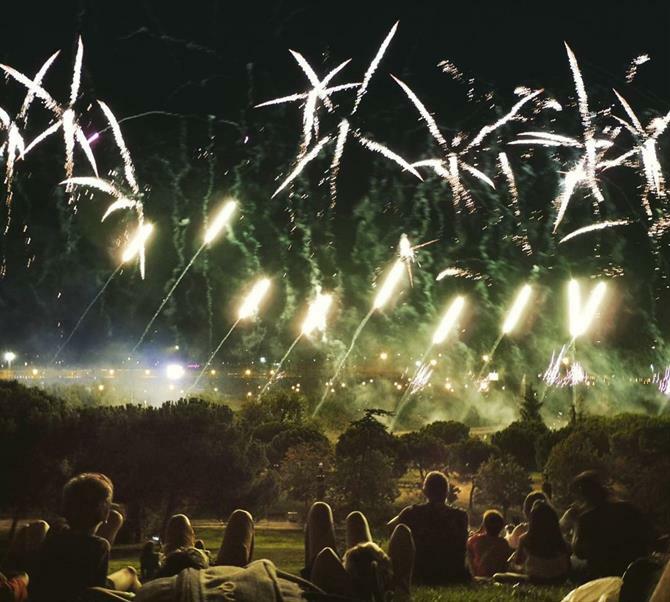 So if you don't want to spend the night at a bonfire on the beach, a great alternative is to search for a high place (the Montjuïc Park in Barcelona for example) and enjoy the show and the views. Would you like to time travel? During the third week of June, the village Briones (La Rioja) goes back to the 14th century. 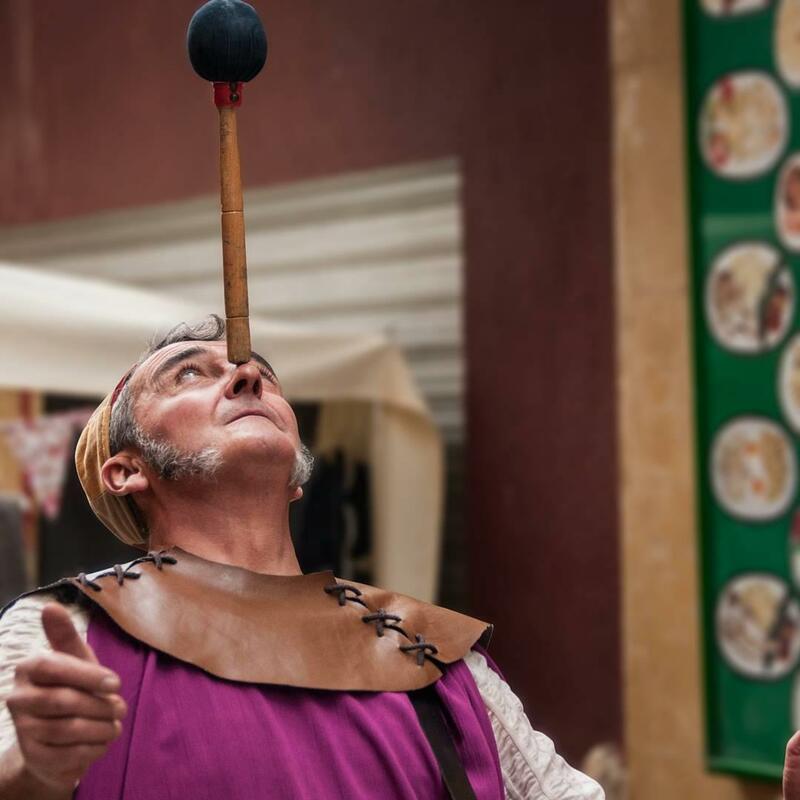 You can discover all sorts of medieval professions, traditional games, dances and food. Plenty of entertainment for the entire family! Over seven hundred locals dress up and the entire village works together to travel back into time: the streets get covered with straw, there are torches on the walls and various stalls appear throughout the village. The medieval fair of Montblanc (Tarragona) is equally impressive. This fair tells the story of Saint George and how he fought with a dragon to save a princess. You can visit a large medieval market, where you can buy artisan products, jewellery and delicious food. The spectacular light and fire show La Noche del Dragón and the more romantic Entrega de la Rosa are not to be missed either: your kids will love them! Imagine a festival that's all about families. That is the essence of the Calafell Family Weekend, celebrated in May at Calafell (Tarragona). Your entire family will have fun at this event with great activities and entertainment for all ages. The entire week is filled with fun things to do: family obstacle courses, cooking classes for children, theatre, storytellers, water sports... Most of these are free, but for some activities, you have to pay a small fee. When you visit Spain in summer you are lucky, because there are plenty of events and festivals at this time of year! 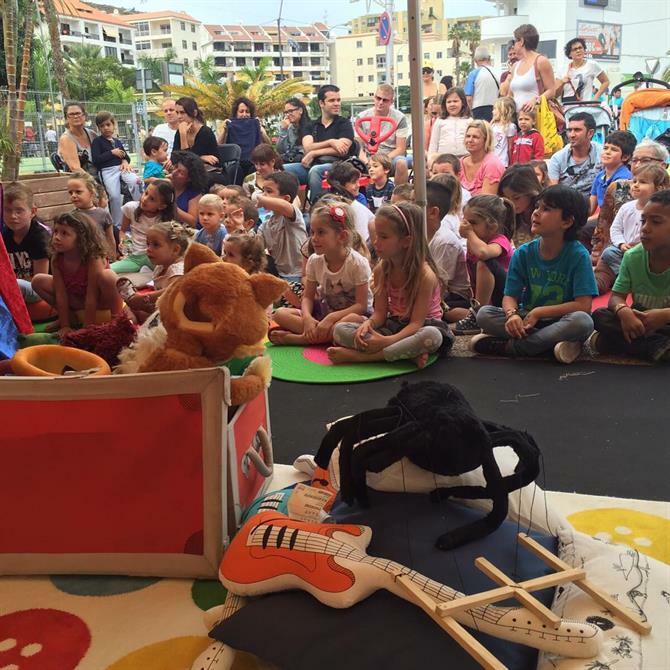 In August, all Spanish cities are celebrating something, so your family can enjoy many activities and shows. In Madrid, the Veranos de la Villa are the event of the month. It's a music festival with concerts ranging from pop over jazz to electronic music and plenty of traditional and not so traditional dances in the main squares. But it's not just about music: other activities include rugby matches and kite flying. Stay in Barcelona and experience the Fiestas de Gracia. The Gracia neighbourhood is decorated according to themes, each street more elaborate than the last, and they compete for the title of the best-decorated street. Concerts, street food, children's activities, folkloric dances and games complete the festivities. 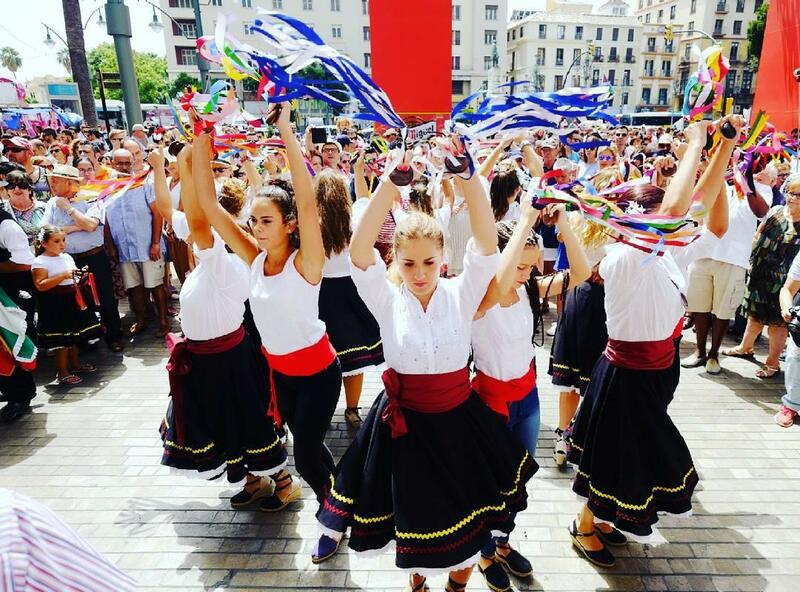 The Feria de Malaga is one of those summer events that stands out from the crowd. It's not just any fair, it's two fairs in one: the Feria de Día (Fair during the day) and the Feria de Noche (Fair during the night). 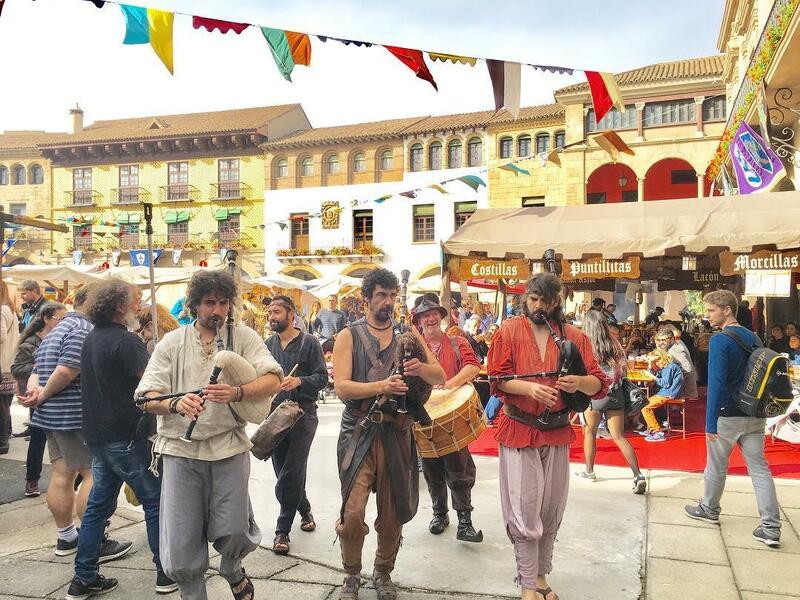 The Feria de Dia takes place in the city centre and engages all your senses: street food, performances, markets with artisan products... Everybody is in a good mood and many people dance and sing along with the bands that perform. There are also a lot of kids' activities: games, workshops, theatre and many more. When the night falls, the festivities continue just outside the city centre where you can visit an authentic fair with lots of attractions, concerts and of course, more food. 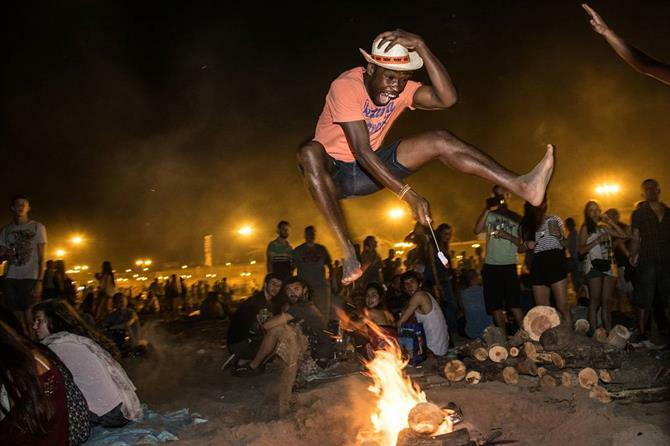 Cultures from all over the world unite in Los Silos (Tenerife) for the free Boreal Festival in September. Try typical dishes from various cultures, dance to international music and let your children discover a whole new world of cultures. It's like going on a trip around the world while staying in one place! Are your children aspiring scientists? They will love the Noche de Los Volcanes (Night of the Volcanoes), which also takes place in September in Puerto de la Cruz (Tenerife). This European initiative wants to bring the fascinating world of science closer to families. 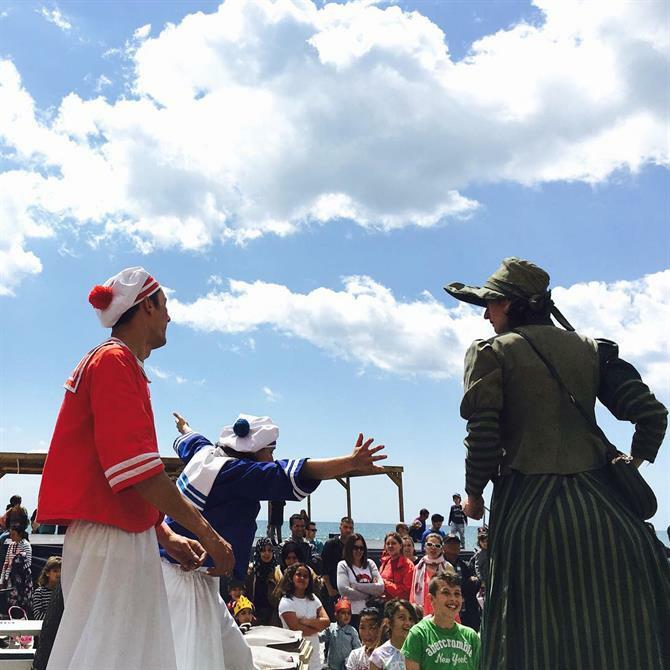 Apart from traditional documentaries and scientific experiments, kids can enjoy educational theatre and exciting excursions through volcanic landscapes. For this last event, we stay in Tenerife: in December, the city of Arona will organize the first edition of the Fiesta de las Capacidades (Festival of Abilities). This festival will provide a different outlook on disability through culture and innovation. Cultural events such as dance performances, theatre and concerts will emphasise diversity and universal accessibility. There are many children's activities will teach children about tolerance and equality while they are having fun. 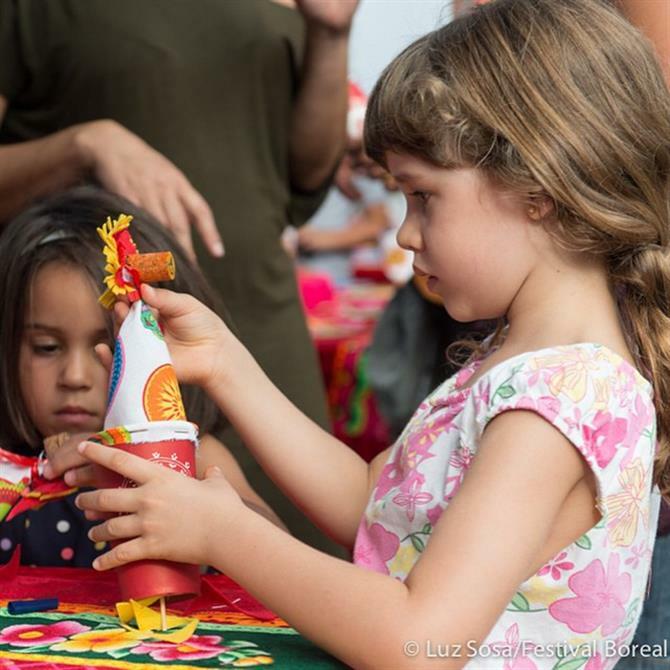 The Fiesta de las Capacidades is the best example of learning while you play. You will never be bored in Spain: no matter when you visit or where you go, there will always be some kind of event going on! And most of these festivals are perfect for your family because they never forget to include fun activities for children and parents. The only thing you have to do is choose which festivities will appeal most to your family, and off you go! Be prepared to have a fantastic time in sunny, family-friendly Spain!